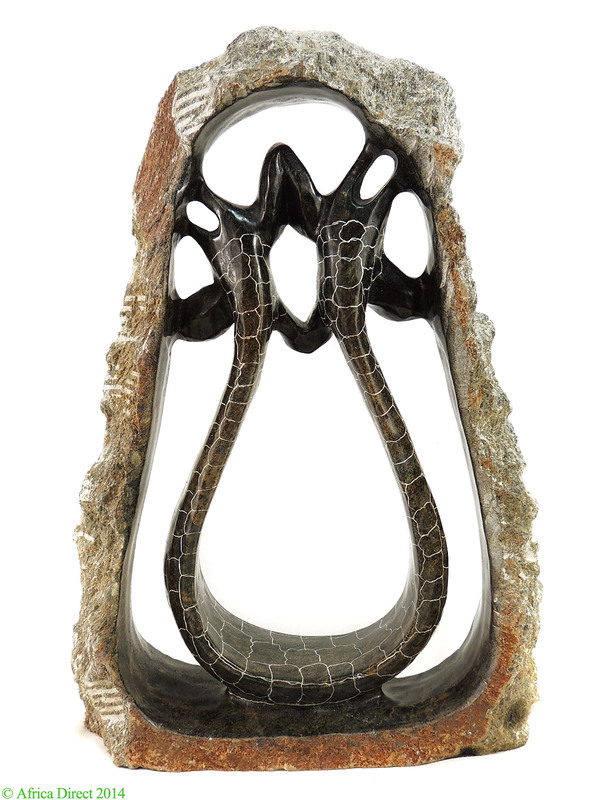 Dimensions 15.75 inches H. x 10.5 inches W.
All Shona sculpture was made after 1965. Frank McEwan, an Englishman, who was director of the Rhodes National Gallerey in what was then Southern Rhodesia, began a school in 1956, and in 1965 encouraged the students, who had been painting, to move to stone. See Oliver Sultan's Life in Stone. 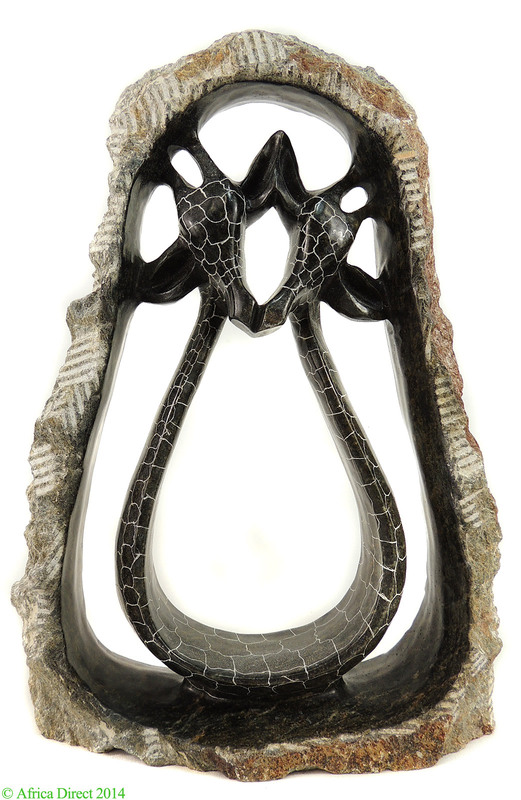 I have a huge collection of Shona pieces in rapocco, green and black serpentine, leopard rock, and verdite--some are four feet tall! In our extensive time in Zimbabwe, we saw an enormous amount of wonderful sculpture. We did the largest amount of our buying from a wonderful co-op of about forty artists.